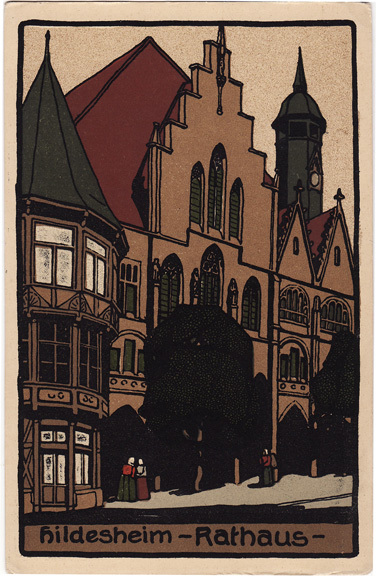 Blundering around the internet, I’m trying to flesh out the biography of Prof Wilhelm Reinhardt, first president of Agincourt’s Normal school, and what should I stumble upon but this postcard view of the Hildesheim Rathaus or town hall. Not only is this an attractive image, it might inspire a series of postcards of buildings at Agincourt. Do you suppose I can adapt six to ten city buildings as a set of cards? By agincourtiowa in Uncategorized on Wednesday/20/February/2013 .